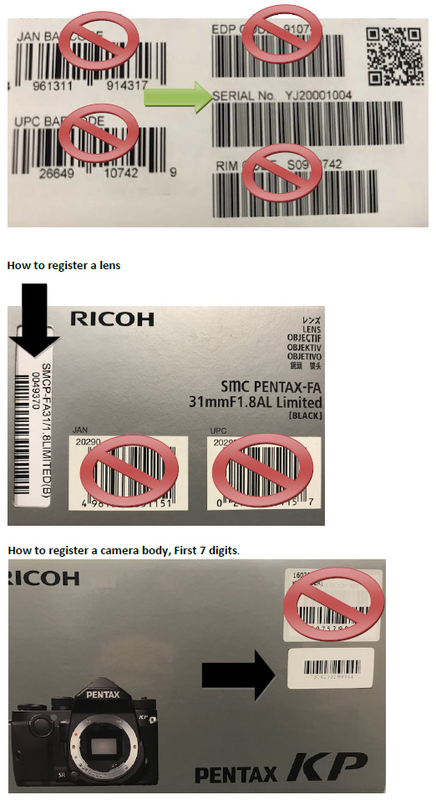 FAQ PENTAX K-S2 digital camera. What is the characteristic of this product? Refer to the features on web page. What is included in the K-S2 kit? The kit does not come with an SD Memory Card, so please prepare an SD Memory Card with the necessary capacity and capabilities for camera applications. Prepare a USB cable with a micro B terminal that supports both USB 3.0 cables and USB 2.0 cables if planning to connect the camera to a computer. *While doing PC and connection, you cannot operate the camera. Use a commercially available mini HDMI cable (type D) to play back recorded images or movies on a TV screen or other AV device. *While doing AV device and connection, the monitor of the camera is not displayed. The above optional accessories are the same as those supplied with the camera. What display languages are available for text and messages on the LCD monitor? There are 20 display languages available, Japanese, English, French, German, Spanish, Portuguese, Italian, Dutch, Danish, Swedish, Finnish, Polish, Czech, Hungarian, Turkish, Greek, Russian, Korean, Simplified Chinese, Chinese Traditional. Is the K-S2 designed to be water-resistant/dust-proof? What are the size and resolution of the LCD monitor? Are there different brightness settings available? The LCD monitor is a 3.0-inch TFT color monitor with a resolution of approximately 921,000 dots. It has a wide viewing angle, comes equipped with a backlight, air-gapless structure, cover mad of temper glass, variable angle structure and brightness-, saturation- and color-adjusting functions. What are the field of view and magnification of the viewfinder? The field of view of the viewfinder is approx. 100% and the magnification, approx. 0.95× (50mm/F1.4 lens at infinity). What is the maximum distance that you can have your eye away from the viewfinder and still see the entire viewfinder image (which is the viewfinder eye relief)? Approx. 20.5 mm from the view window, and approx. 22.3 mm from the center of the lens. What is the range for diopter adjustment and the number of levels available? You can adjust the diopter from approximately -2.5 m-1 to +1.5 m-1. Does the K-S2 have any features that help prevent dust from collecting on the image sensor? Where is the audio microphone (stereo/monaural) located? The audio microphone is on the both side of the top cover. No. The battery grip cannot be used with the K-S2. The camera records images in the versatile JPEG format or the high-quality and fully editable RAW (PEF/DNG) format. You can also select JPEG+RAW (PEF/DNG) and record in both formats simultaneously. Can image rotation information be saved for images taken while the camera is held vertically or horizontally? Does the camera have a Superimpose function? Yes. The K-S2 is equipped with a Superimpose AF Area function in which the selected AF point appears in red in the viewfinder. Auto (11 AF points) Out of the 11 AF points, the camera automatically selects the optimum focusing point. Auto (5 AF points) Out of the 5 AF points, the camera automatically selects the optimum focusing point. Select Sets the focusing point to the user selected point from 27 points. Expanded Area AF Sets the focusing point to the user selected point from 11 points. When the subject happens to move out of the selected focusing area after being focused, 8 peripheral points are used as back-up points. Not available in AF.S mode. Spot Sets the focusing point to the center of the 11 points. What type of shake reduction system is used? The K-S2 is equipped with a Sensor-Shift Shake Reduction system built right into the body of the camera. The effect of Shake Reduction is equivalent to up to around 3.5 EV steps in shutter speed. This mode lets you change the color tone of an image and perform special processing on an image. The Digital Filter can be applied when a picture is taken. You can also apply digital filter effects to images that have been shot in playback mode. Soft, Starburst, Fish-eye, Slim, Monochrome. Does the K-S2 support PRINT Image Matching (P.I.M.) II™ and Exif Print (Exif 2.2)? Does the K-S2 support PictBridge? Do menu options and other settings reset when the battery is taken out of the camera? Settings other than the date and time are retained when the battery is removed. The date and time settings are retained for at least 48 hours after the battery is removed if the battery was in the camera for at least 24 hours continuously before it is removed. What is the Advanced HDR mode? Takes three consecutive images using the Clarity Enhancement feature to create a single composite image with them. You can set the range in which to change the exposure. Select from ±1, ±2, ±3. What is the "AA Filter Simulator" function do? By shaking the Shake Reduction unit, a moiré reduction effect simulating that of a low-pass filter can be achieved. Set in the control panel or [AA Filter Simulator] of the [Capture menu 3]. Type1 Takes pictures balancing the resolution and moiré reduction. (3 images are taken with one press of shutter). • This function cannot be used in some capture modes or in combination with some other functions. [Bracketing] cannot be used in the following situations. • When HDR Capture is set. • When the number of storable images is 2 or less. What is the Texture Enhancement function? Images with the texture and surface details enhanced can be captured. Set in the control panel or [Clarity Enhancement] of the [Capture Menu 2]/[Movie Menu1]. • This function cannot be used in combination with some other functions. • In [Movie mode], this function is available only when the drive mode is set to [Interval Movie Record]. - Although some restrictions will apply, set [Using Aperture Ring] to [Enable] in the [Custom Setting] menu to use the camera when the aperture ring of an FA, F, A, or a D FA lens is not set to the A position and other K-mount lenses (P, M lenses) or lenses using the appropriate Mount Adapter K are attached. ○: Functions are available when the aperture ring is set to the A position. △: Some functions are restricted. ×: Functions are not available. Peripheral Illumin. Corr. Reduces peripheral light fall-off occurring due to lens properties. Diffraction Correction Corrects blur caused by diffraction when using a small aperture. • You can also set [Distortion Correction] and [Peripheral Illumin. Corr.] from the control panel. • Correction can only be made when a compatible lens is attached. The features are disabled when using an accessory such as a rear converter that is attached between the camera and the lens. • When [File Format] is set to [RAW] or [RAW+], correction information is saved as a RAW file parameter and you can select whether to apply the correction to the images when developing them. For the RAW Development function, [Color Fringe Correction] can also be set. Can I use the Power Zoom function? The shutter can be released by setting [28. Using Aperture Ring] to [Enable] in the [C Custom Setting 4] menu, and setting the focus mode switch to [MF]. The following restrictions apply depending on the lens being used. D FA / FA / F / A / M (lens only or with automatic diaphragm accessories such as auto extension tube K) The aperture remains open. The shutter speed changes in relation to the open aperture but an exposure deviation may occur. FA SOFT 28mm / FA SOFT 85mm / F SOFT 85mm (lens only) Pictures can be taken with a set aperture value in the manual aperture range. • If the aperture ring is set the a position other than A, the camera operates in Av mode regardless of the mode dial setting except when set to M or B mode. • [F--] appears for the aperture indicator in the status screen, Live View screen and viewfinder. When lenses for which the focal length is the same whether in 35 mm format or medium (67 or 645) format (100 mm, for example) is used with the K-S2, the area captured is the same as 1.5x the focal length of a 35-mm equivalent lens (equivalent to 150 mm). Can I use other manufacturers' lenses with the K-S2? If it is a K-mount lens, another manufacturer’s lens can be attached to the K-S2. However, it should be used at the user’s own risk. We assume no responsibility or liability for differences in the exposure or focus, accidents, damages, or malfunctions resulting from the use of lenses made by other manufacturers. • When the sensitivity is set to ISO100. * Tested using the rechargeable Lithium-ion Battery D-LI109. * The number of recordable images for continuous shooting depends on the transfer rate of the SD Memory Card used. The figures above are for when a UHS-I, class 10 SD Memory Card is used. Yes, it can. The optional Remote Control Waterproof O-RC1 and Remote Control F are available for use with this camera. You can select remote control shooting mode from [Remote Control], [Remote Control (3 sec. delay)], [Remote Continuous Shooting], [Exposure Bracket + Remote Ctrl], [Remote Control + Multi-exposure], [Remote Control + Interval Shooting], and [Remote Control + Interval Composite]. There are two modes in [Bulb (B) Mode Options] in the [C Custom Setting 1] menu. In [Type1], Press and hold shutter release button for exposure. Releasing button stops exposure. In [Type2], Press shutter release button to start exposure and Press again to stop exposure. Yes, it is. To set it to off, select [Off] in [Slow Shutter Speed NR] of the [Rec. Mode 2] menu. Yes. You can select from [1 OFF], [2 Apply All], and [3 Apply One] in [27 AF Fine Adjustment] of [C Custom setting 4]. Different settings can be set for individual lenses.Adjusting the autofocus may make it difficult to capture images with the appropriate focus. Be sure to use [AF Fine Adjustment] only when necessary. What kind of contents does the custom menu have? 3 Meter Operating Time Sets the meter operating time. 10sec. Does the camera have an AF assist light? Yes. The camera has a dedicated AF assistant LED light. You can select [ON] or [OFF] in [AF assist light] of the [Shooting Menu 1]. When [Contrast AF] is set to [Face Detection] in Live View, Contrast AF + Face Detection mode is activated. Up to 16 faces can be detected at a time. You can take self-portraits while checking the Live View image by facing the lens and the LCD screen of the monitor toward yourself. When the self-portrait shutter button can be used for shooting, other button/dial operations are disabled. Can I shooting while displaying image on AV device? Yes. Connect to an AV device, such as a TV, equipped with an HDMI terminal to display Live View images while shooting or to play back images in playback mode. *While the camera is connected to an AV device, nothing is displayed on the camera monitor regardless of the LCD screen direction. Also, you cannot adjust the volume on the camera. Adjust the volume on the AV device. *By default, the maximum resolution supported by both the AV device and camera is automatically selected. If it fails to play back images properly, change the setting in [HDMI Out] of the setting 2 menu. *If you intend to use the camera continuously for a long period, the use of the optional AC adapter kit is recommended. What is the sync speed of this camera? When the built-in flash is used in Av mode, the shutter speed automatically changes over a range from 1/180 seconds to a slow shutter speed depending on the lens being used. The shutter speed is locked at 1/180 seconds when a lens other than a DA, DAL, DFA, FAJ, FA or F lens is used. When built-in flash is used in Tv, TAv or M mode, any desired shutter speed of 1/180 seconds or slower can be set. The built-in flash is optimum for a subject at a distance from approx. 0.7m to 5m. Vignetting may occur when used at a distance closer than 0.7m (this distance varies slightly depending on the lens being used and the sensitivity setting). ISO 100 approx. 12 sec. ISO 3200 approx. 68 sec. ISO 200 approx. 17 sec. ISO 6400 approx. 96 sec. ISO 400 approx. 24 sec. ISO 12800 approx. 136 sec. ISO 800 approx. 34 sec. ISO 25600 approx. 192 sec. ISO 1600 approx. 48 sec. ISO 51200 approx. 272 sec. Yes, the output of the built-in flash can be changed(*) in the range of -2.0 to +1.0 by pressing the four-way controller (down) to display the [Flash Mode] screen and turning the rear e-dial. Focal length: 28 mm or longer. Focal length at 28 mm: Shooting distance is greater than 1 m.
Focal length: 20 mm or longer. Focal length at 20-35 mm: Shooting distance is greater than 1.5 m.
Focal length at 28 mm: Shooting distance is greater than 1 m.
- The built-in flash always discharges fully when a PENTAX FA Soft 28mm F2.8 [*1] lens or PENTAX FA Soft 85mmF2.8 [*1] lens is used. [*1] Regular sales of this product have ended. Can I use my external flash with this camera? *1 Available only when using a DA, a DA L, a D FA, an FA J, FA, an F or an A lens. *2 Not available AF spot beam for AF540FGZ/AF360FGZ. *3 Shutter speed of 1/90 seconds or slower. *5 Available only when combined with the AF540FGZ, AF540FGZ II, AF360FGZ, or AF360FGZ II. Never press flash pop-up button on the camera when any external flash unit is attached to the camera. The built-in flash will hit the external flash. If you want to use both at once, connect them using an extension cord. Flashes with the reversed polarity (the center contact on the hot shoe is minus) cannot be used due to the risk of damaging the camera and/or flash. Do not combine with accessories that have a different number of contact, such as a Hot Shoe Grip, as a malfunction may occur. Combining with flashes from other manufacturers may cause equipment breakdown. With the AF540FGZ, AF540FGZII, AF360FGZ, or AF360FGZII, you can use the high-speed sync flash to discharge the flash when taking a picture at a shutter speed faster than 1/180 seconds. Set the capture mode to Tv, TAv or M.
internal temperature of the camera becomes high. Reversal Film, Monochrome, Cross Processing. Invert Color, Unicolor Bold, Bold Monochrome. *When recording a movie with sound, the camera operation sounds are also recorded. *When recording a movie with an image processing function such as Digital Filter applied, the movie file may be saved with some frames omitted. *You can record movies continuously up to 4 GB or 25 minutes. *It the internal temperature of the camera becomes high during recording, the recording may be terminated. *When a retractable lens is attached, recording stops if the lens is retracted during recording and An error message is displayed. *When the camera enters Movie mode, the Wi-Fi function is disabled. Can I use an external microphone to the camera? You can connect a commercially available stereo microphone to the microphone terminal on the camera. Using an external microphone can be also help to reduce the possibility of recording camera operation sounds. The following specifications are recommended for external microphones. Whai is the Wi-Fi function? What can I do with Wi-Fi function? The camera can be operated from the communication device and images can be shared with others via social networks or e-mail. The Wi-Fi function is disabled at the time of turning the camera on. Enable the function using one of the following methods. • When the Wi-Fi function is enabled, the icon (white) indicating the wireless LAN status is displayed on the status screen and live view screen. When the icon (gray) is displayed, a connection with the access point was not made correctly. • Even after the Wi-Fi function is enabled, it is disabled again when the camera is turned off and on again. Also, when the camera enters Movie mode, the Wi-Fi function is disabled. • Auto Power off is not available while a Wi-Fi connection is established or images are being transferred. If Auto Power off is activated while a connection is not established or during standby, the Wi-Fi function is disabled. The function is enabled when the camera recovers from Auto Power off. • The Wi-Fi function is disabled during the USB connection. • When to use the Wi-Fi function, please observe local laws and regulations goveming radio Communication. Enable the function using one of the following methods. What can I operate by using the communication terminal? The following functions can be used by directly connecting the camera to a communication device via Wi-Fi and using the dedicated application “Image Sync”. Remote Capture Display the Live View image of the camera on the communication device, and then enables controlling the exposure settings and shooting by operating the communication device. Image Viewing Display the image saved on the memory card inserted in the camera on the communication device and imports the images to the communication device. Image Sync supports iOS and Android. Image Sync can be downloaded from the App Store or Google Play Store. For supported OS and other details, refer to the download site. Which Memory Cards can you use in this camera? You can use SD Memory Cards, SDHC Memory Cards, and SDXC Memory Cards (UHS-I). Does this camera support UHS Speed Class? *The information above is given for the convenience of customers and does not guarantee complete compatibility with the K-S2. - Card that have not yet been used or that have been used on other devices, such as on another camera or a computer, must first be formatted on the K-S2. What type of batteries can be used with this camera? Use the rechargeable Lithium-ion Battery D-LI109. Can I use the AA battery? To keep the battery in optimum condition, avoid storing it in a fully charged state or in high temperatures. When use the rechargeable Lithium-ion Battery D-LI109, the numbers of photos that can be taken and available playback time are as follows. Connect to an AV device, such as TV, equipped with an HDMI terminal to display Live View images while shooting or to play back images in playback mode. Make sure to have a commercially available HDMI cable equipped with an HDMI terminal (type D). While the camera is connected to an AV device, nothing is displayed on the camera monitor regardless of the LCD screen direction. Also, you cannot adjust the volume on the camera. Adjust the volume on the AV device. JPEG files captured on the K-S2 can be resized and cropped. Images already resized to 0.3M or 0.2M with the K-S2 cannot be resized or cropped. Digital Camera Utility 5 comes with the camera. The Digital Camera Utility 5 software develops the RAW data and makes adjustments in the color, etc. What are the system requirements for using included software? The system requirements are as listed below. Can K-S2 RAW (DNG) files be used in applications such as Photoshop that support the DNG file format? Does Digital Camera Utility5　have custom image that is the same as the camera? It is not corresponding to custom image process of K-S2. The SD Memory Card you have inserted is unformatted or has been formatted on a computer or another device and is not compatible with this camera. First format the SD Memory Card on the camera before attempting to use it. The write-protect switch on the SD Memory Card you have inserted is locked. You can still operate the menus, switch modes, and play back the images on the card in such cases. Portions of an image on the monitor blink red when I try to play back the image on the camera. What would cause this to happen? When [Bright/Dark Area] is On in the [Playback] menu, bright (overexposed) portions blink red .